For dinner that night, we were able to use our Buca di Beppo gift card. We had never been there before. This bowl of spaghetti and meatballs was meant for 2 people, but it could have fed at least four people! So glad we didn't order appetizers or salad. Maybe when we have the kids with us. Since Kev bought our tickets for the chocolate festival early, we received two $10 gift cards to Macy's. On our way home from the city, we stopped at a Macy's and found these cute fall mugs. We both thought they would be great for tea and a reminder of our day together. I have been enjoying the Hello Mornings Challenge. This has been a great way for me to get my mornings started the right way. Our fall Hello Mornings Bible study is in 1 Peter. I love digging into God's Word this way. Tuesday found me at jury duty. It was really strange being at jury duty on 9/11 and the court house is on 11th Street. I spent the morning reading and looking through some magazines. We were let out early for lunch, so I ran a couple of errands. Once we returned from lunch, most of us were called into court rooms for jury selection. I ended up in a court room for a month long murder case. Because I am the primary caregiver for my daughter, I was excused from service. Maybe I will be able to serve next time. 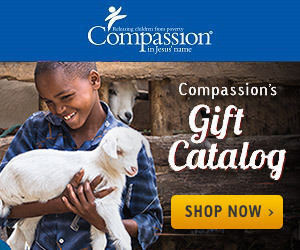 Months ago, I found an idea on Pinterest to send to our Compassion kids. We traced our hands, cut them out, and wrote a Bible verse on them. We mailed along extra paper and a note asking the kids to do the same, then mail them back to us. This week, we received our first hand back! My camera has been off being serviced, so I thought I would make a new camera strap while it was away. This strap has a pocket to hold the lens cap. So handy! Still making progress on the baby blanket...126 rows done, 95 to go. I usually will sit down and knit two rows at a time. There are quite a few mistakes, but I don't think anyone will really be able to tell. Can you see the hearts? Yesterday, there was a group of us that headed over to the National Heirloom Expo. My friend and I went last year and really enjoyed ourselves. This year, there were five of us that spent the day learning about how to grow better tomatoes, basil, and garlic and what to do with some of the herbs your might be growing. It was a fun day out with friends! Have you been Instagramming this week? Join us for InstaFriday!